41-year-old male of American Indian descent has escaped from the Sexual Predator Treatment Program at Larned State Hospital. 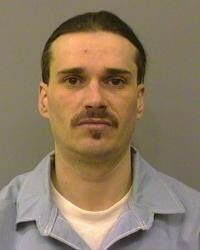 Bruce Franklin Burns escaped at approximately 4:45pm Wednesday heading South of Larned State Hospital. He was last seen wearing khaki pants, a navy jacket, a navy ski cap, and black shoes. Numerous state agencies including but not limited to the Kansas Department of Corrections, Juvenile Justice Authority, Kansas Highway Patrol, Kiowa County Sheriff’s Office, and the Pawnee County Sheriff’s Office, are assisting in the search. Burns is considered a very dangerous sexually violent predator. Please call authorities should you come in contact with him.